Today we will be digging in and starting the retaining wall from wood that is already on the property. 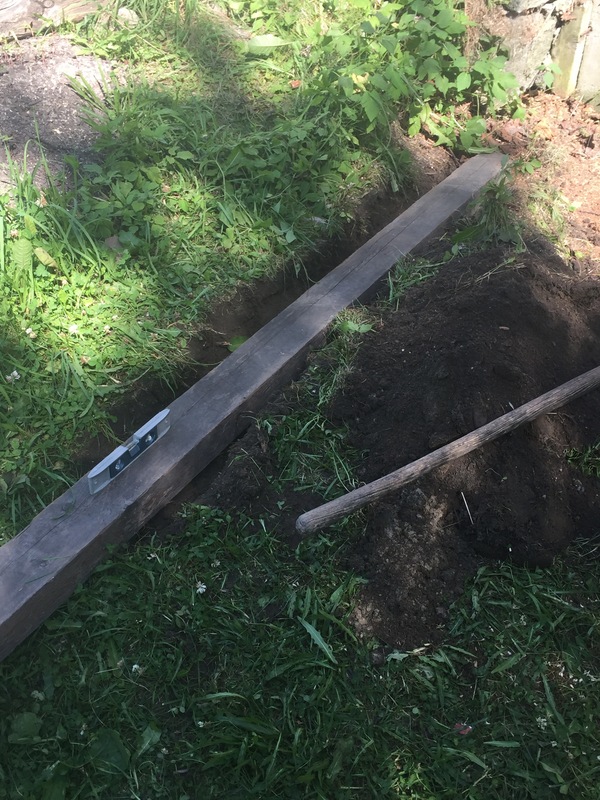 The first bit here is to dig a small trench to house the lumber. It needs to be roughly level, and allow the boards to sit flat. 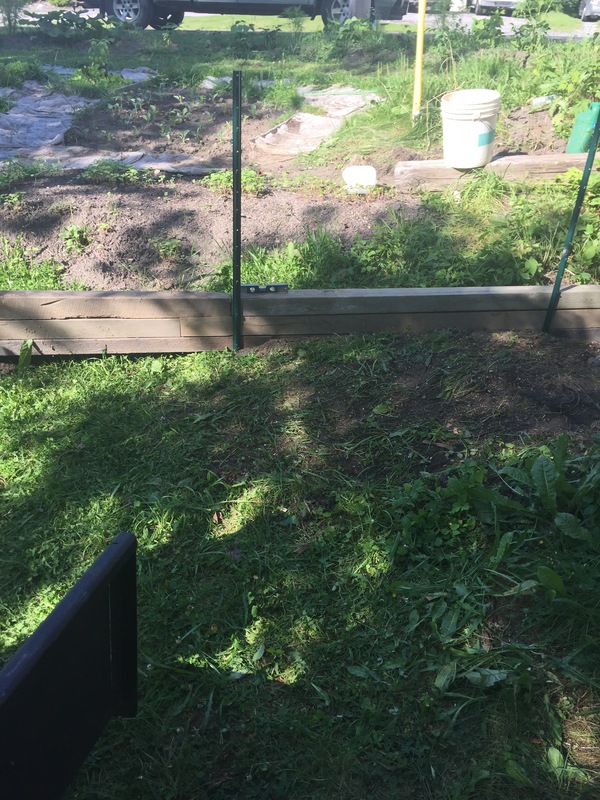 Once the bottom board is level I took some fence posts from the peas and drove them in to support the wall building. Here it is so far. I have run out of lumber and now need to head to the store. Next PostA journey to breakfast.